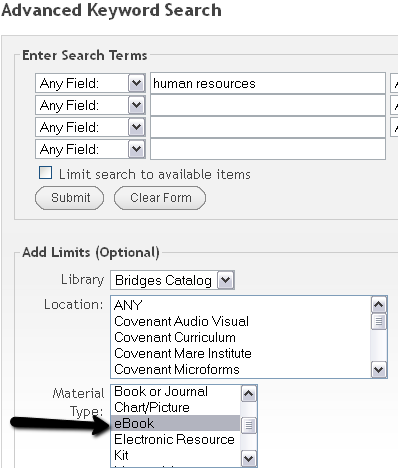 Search by keyword for an eBook in the Library Catalog. A growing e-book collection from trusted publishers in all academic subject areas. Formerly Netlibrary, this collection provides access to eBooks including reference books, scholarly monographs, publications of many university presses, and consumer books that have been converted into digital format. "A database of more than 10,000 chapters in PDF from over 800 books published by APA and other distinguished publishers. The database includes most scholarly titles published by APA from copyright years 1953 - present. It also includes 100 out-of-print books, an additional 70+ classic books of landmark historical impact in psychology, and the exclusive electronic release of more than 1,500 authored entries from the APA/Oxford University Press Encyclopedia of Psychology" (vendor description). This collection features fiction and nonfiction titles and contains a wide range of subjects and topics to meet research and recreational needs. Searchable online collection of over 3,470,168 full text articles in 880 encyclopedias, dictionaries, atlases, biographies, language dictionaries, and other reference titles. Provides a combined search of a number of dictionaries, encyclopedias, and other reference sources in various subject areas. Users may also choose to search for content in a single source from the collection. Contains content from 5 publications in the Gale Literary Criticism series offering modern and historical literary commentary on authors and their works. Complete volume coverage is available online for series titles:Contemporary Literary Criticism and Drama Criticism. Online content begins with the 2007 volumes of the following series titles: Short Story Criticism, Children's Literature Review and Poetry Criticism. For content in volumes published before 2007, consult the print volumes shelved in the library's reference collection. eBooks or electronic books, are books that have print counterparts but are made available in electronic form. You can find ebooks by using the library catalog. When you open the catalog, click Advanced Search. This will take you to a menu that allows you to choose, among other things, the specific kind of material you want to search for. Go to the "Material type" line and select "ebook." Your subsequent search will be limited to ebooks. 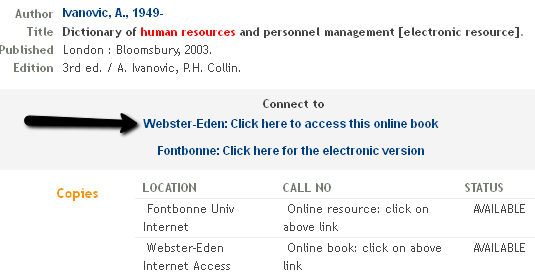 In the catalog record, there will be a link that indicates that Webster owns this ebook. Be sure to click only the link that says "Webster-Eden". You will need to type in your I.D. number in order to access the book.